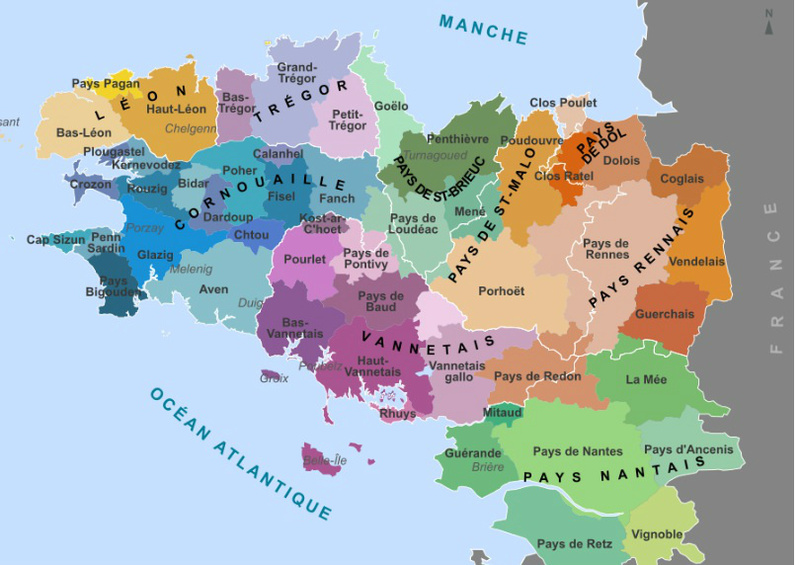 Here is a map of Brittany's land mass during Marie-Julie's lifetime. Notice that Mont St. Michel, on the northern coast, in the Pays de Dol, was also part of Brittany. The parish of Nantes, comprised of the green areas to the south, is now called the Loire Valley Department. This is where the Jahenny family lived. Brittany (these coloured areas) will be protected, and half of the crops will still be growing here after the 3 Days of Darkness.